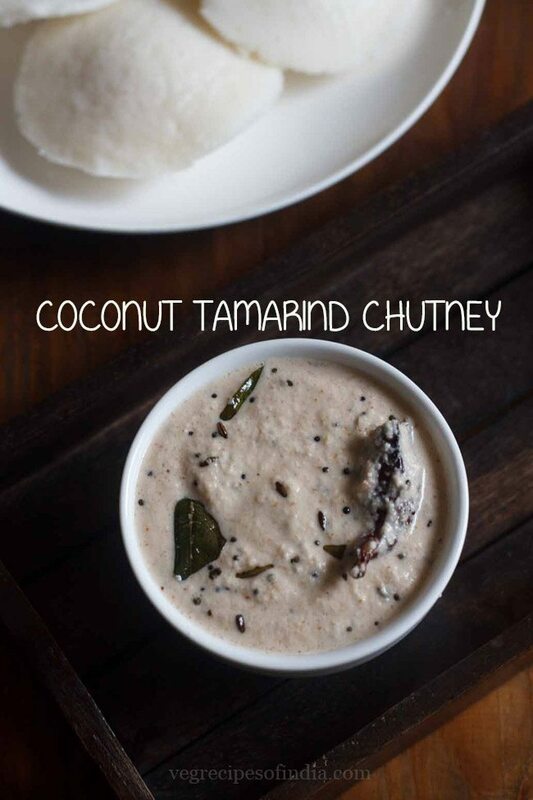 coconut tamarind chutney recipe - slightly sour tasting chutney made with tamarind, coconut and spices. 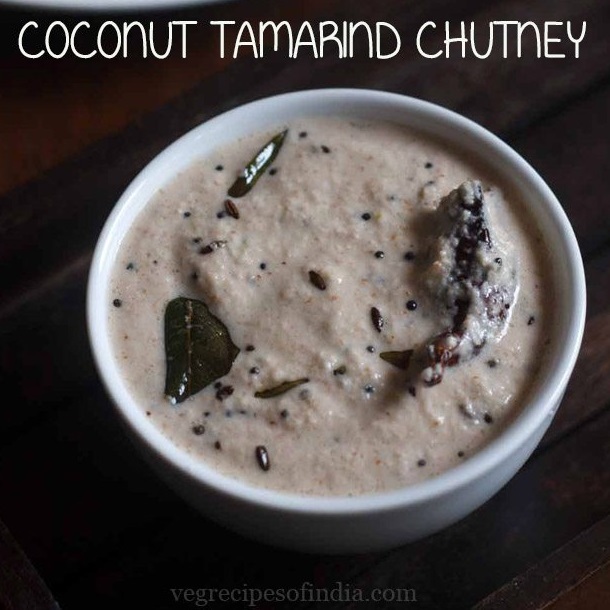 coconut tamarind chutney recipe with step by step photos – a slight sour tasting chutney made with tamarind, fresh coconut and spices. 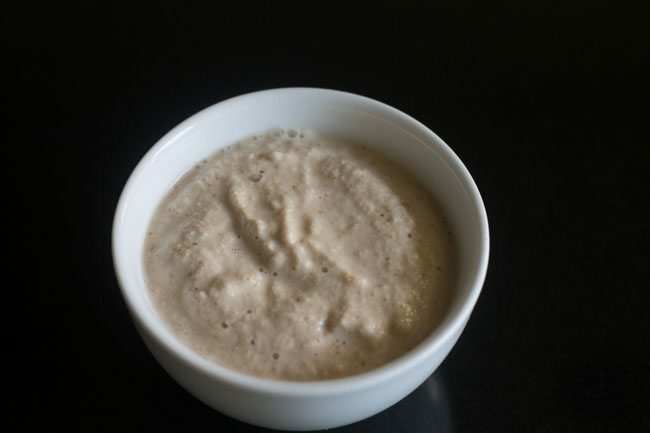 this coconut chutney is a simple and easy recipe and goes very well with idli and dosa. 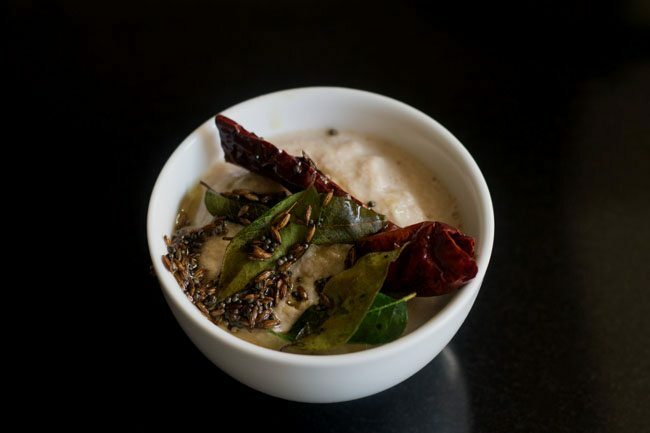 this is my mom’s recipe and even now she makes this chutney with idli and dosa. the slight sour taste of tamarind is one of the main flavor factor in this chutney, which is accompanied with the mild sweetness of fresh coconut. there is also the heat of green chilies felt in the chutney. usually we add just one green chili and do not make a spicy chutney. but you can add up to two green chilies for a spicy chutney. 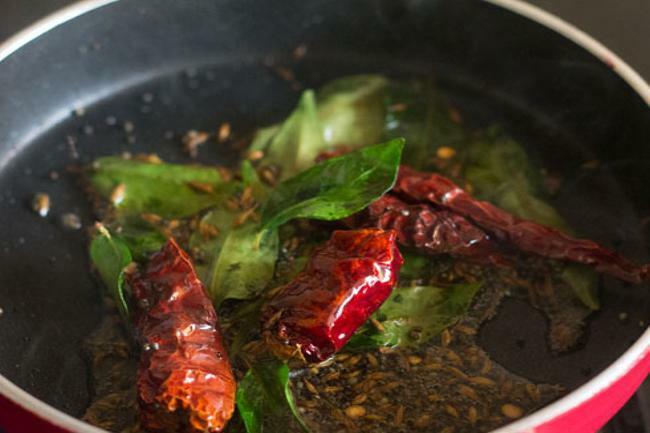 if you do not have green chilies, then you can even add dry red chilies. 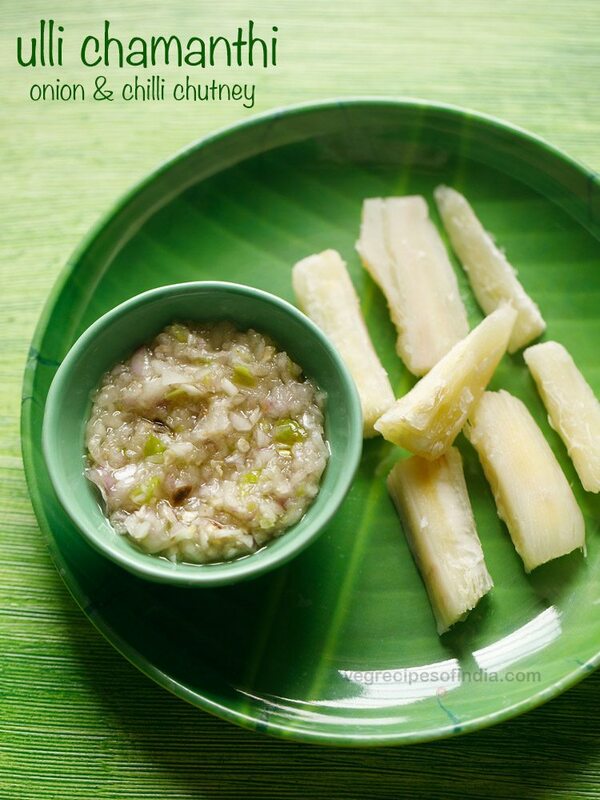 the chutney made with green chilies tastes different than the chutney made with red chilies. 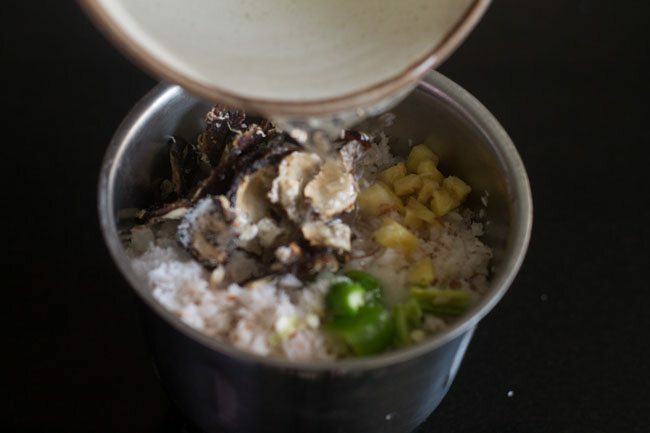 in this coconut chutney recipe, chana dal is not added. a tempering of mustard seeds, cumin, curry leaves and dry red chili is also done. 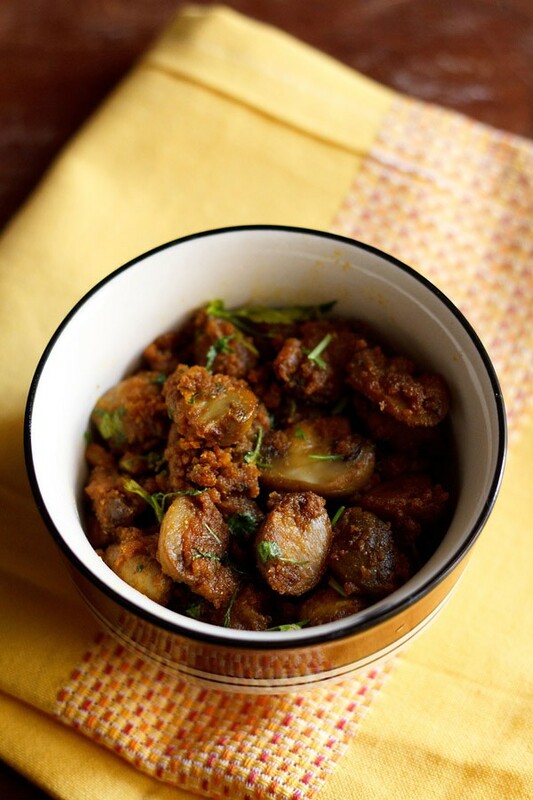 you can also check this saunth chutney and tamarind dates chutney recipe. 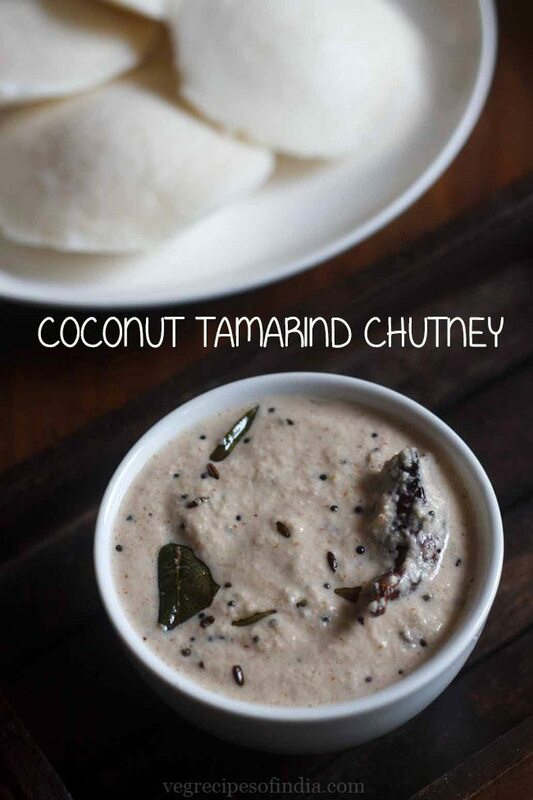 make this delicious coconut tamarind chutney and serve with idli, dosa or uttapam. 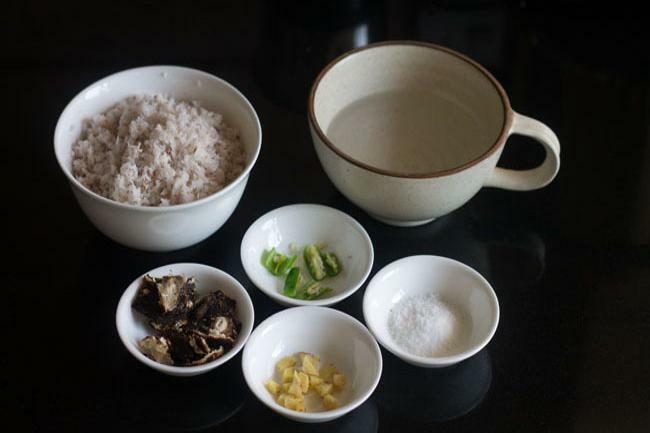 if you are looking for more chutney recipes then do check spicy coconut chutney, hotel style coconut chutney, red coconut chutney and coconut chutney recipe. 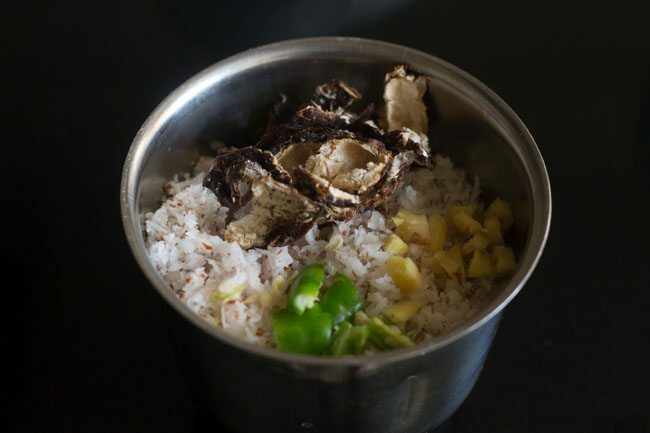 in a chutney grinder jar, add cup of fresh coconut, 2 teaspoon seedless tamarind, 1 green chili or 1 dry red chili, chopped ginger and salt. add ½ cup water or as required. grind all the chutney ingredients very well. make a smooth paste. pour the chutney in a small bowl. 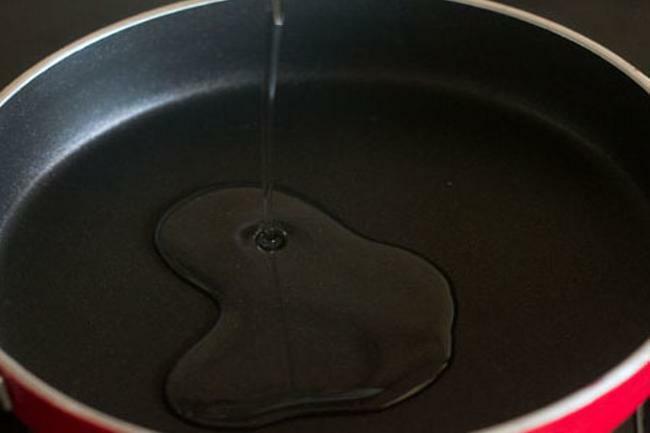 heat 1 tablespoon oil in a tadka pan or small frying pan. lower the flame. first add mustard seeds and allow them to crackle. then add cumin seeds. 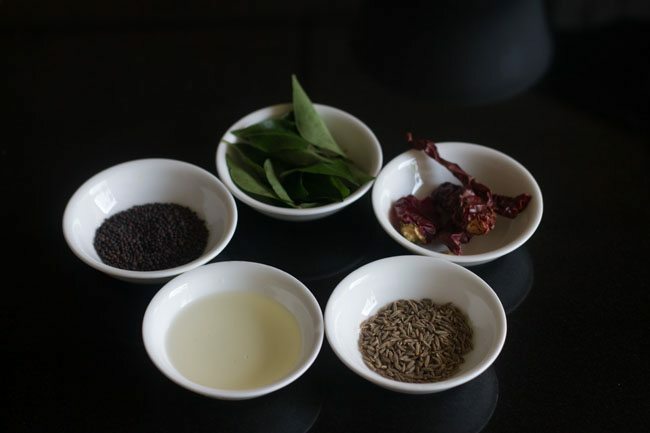 let the cumin seeds also crackle and then add 1 red dry chili and curry leaves. fry till the red chilli changes color. pour the hot tempering on the chutney. 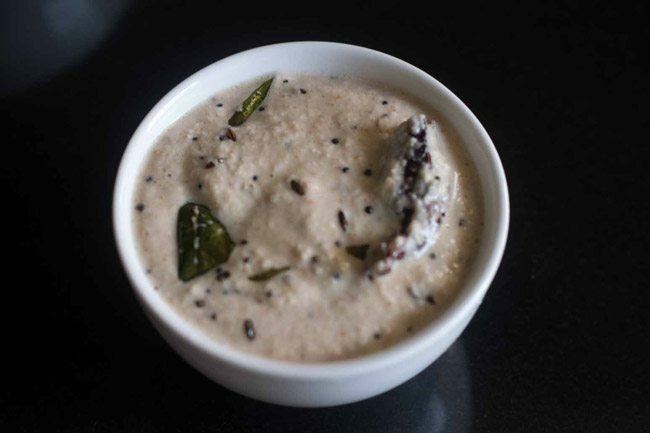 mix well and serve coconut tamarind chutney with idli, dosa or vadai. 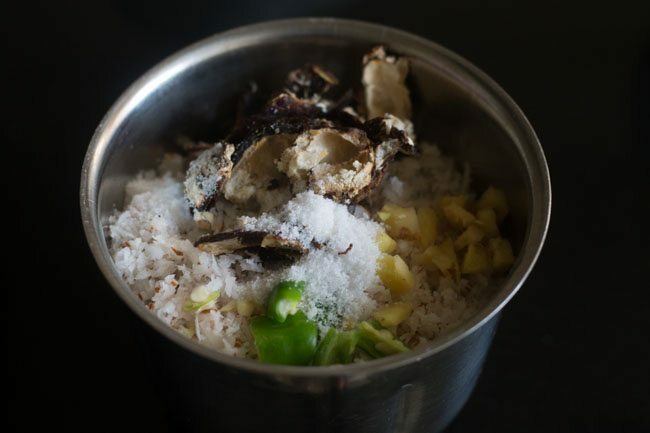 1. measure and keep all the ingredients ready for making tamarind coconut chutney. 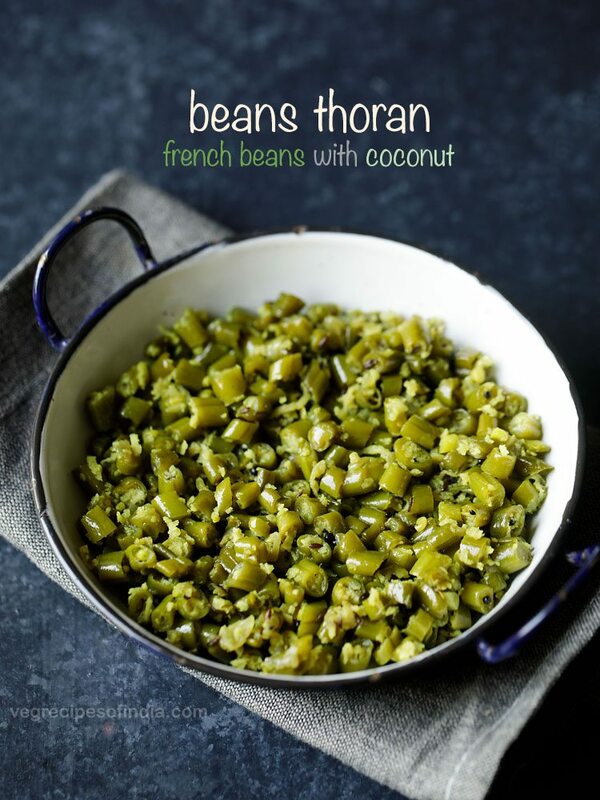 2. in a chutney grinder jar, add 1 cup fresh grated coconut, 1 chopped green chili (hari mirch), ½ inch roughly chopped ginger (adrak) and 2 teaspoon seedless tamarind (imli). 3. next add salt as required. 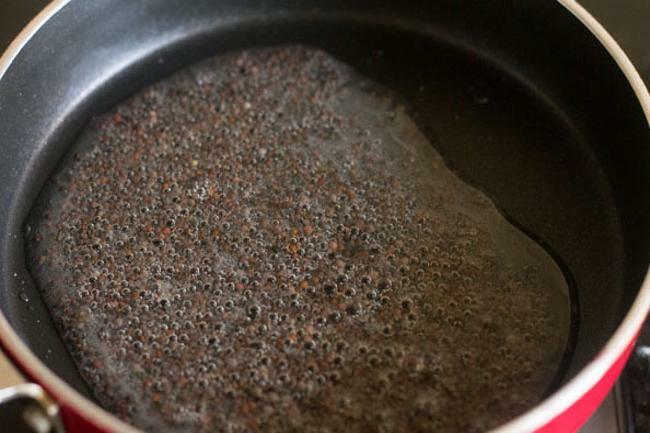 4. lastly add ½ cup water or as required. 5. grind all the chutney ingredients very well. make a smooth paste. 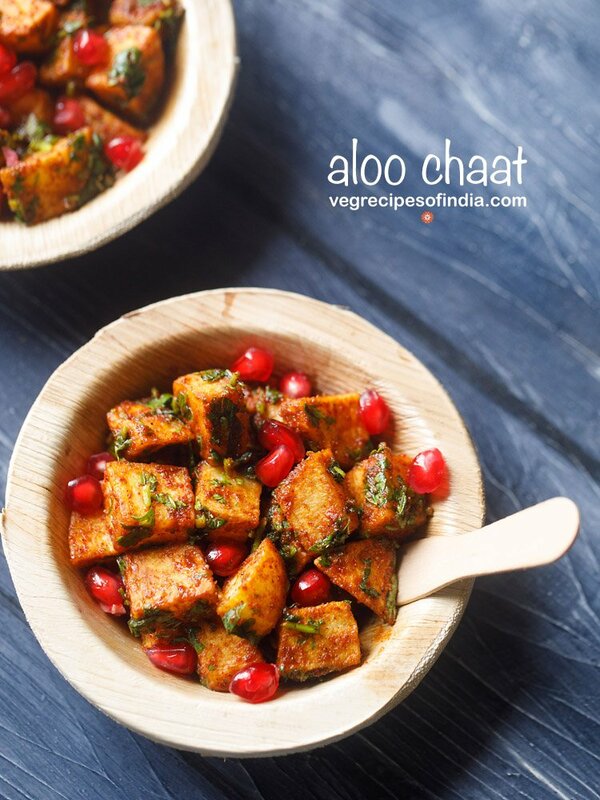 6. pour the chutney in a heat proof bowl. 7. measure and keep all the ingredients ready for preparing tempering for chutney. 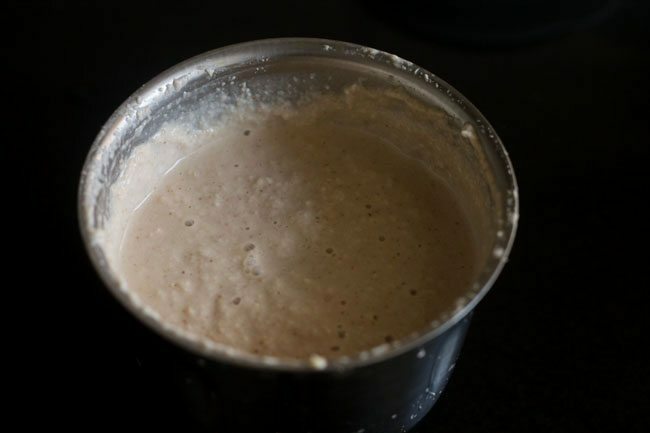 8. heat 1 tablespoon oil in a tadka pan or small frying pan. lower the flame. 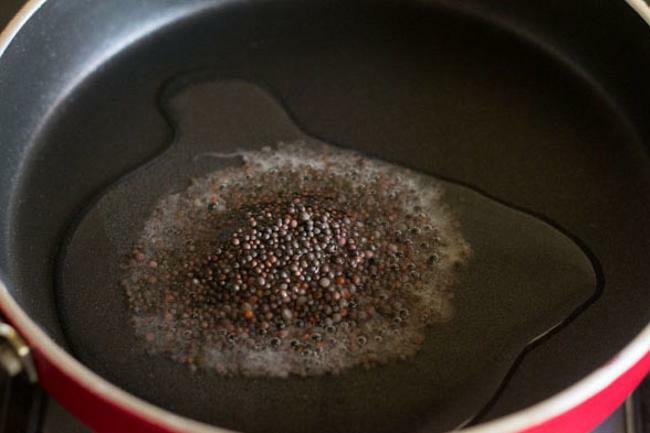 9. first add ½ or ¾ teaspoon mustard seeds (rai). 10. allow them to crackle. 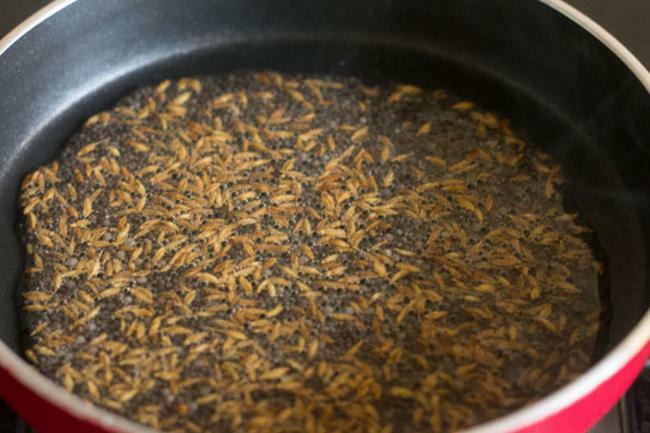 11. then add ½ or ¾ teaspoon cumin seeds (jeera). 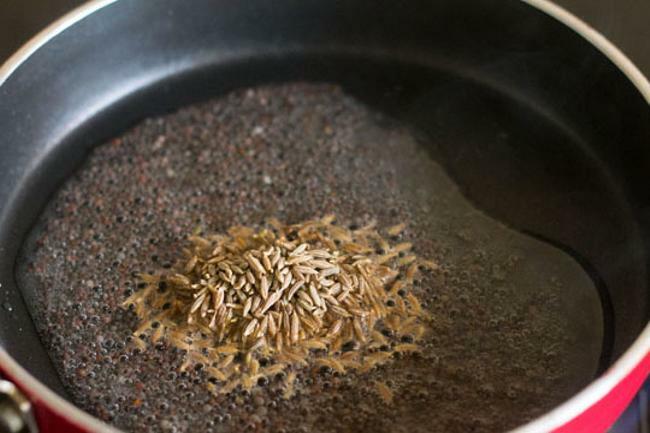 12. let the cumin seeds also crackle. 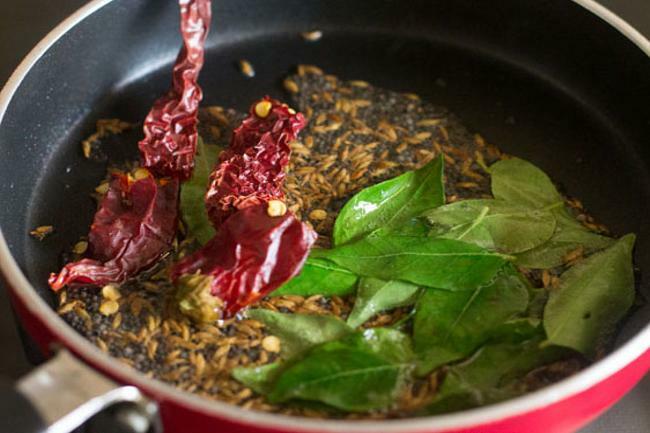 13. then add 1 to 2 red dry chili and 1 sprig curry leaves (kadi patta). additional of red chillies is optional. 14. fry till the red chilli changes color. 15. pour the hot tempering on the chutney. 16. stir and mix well. 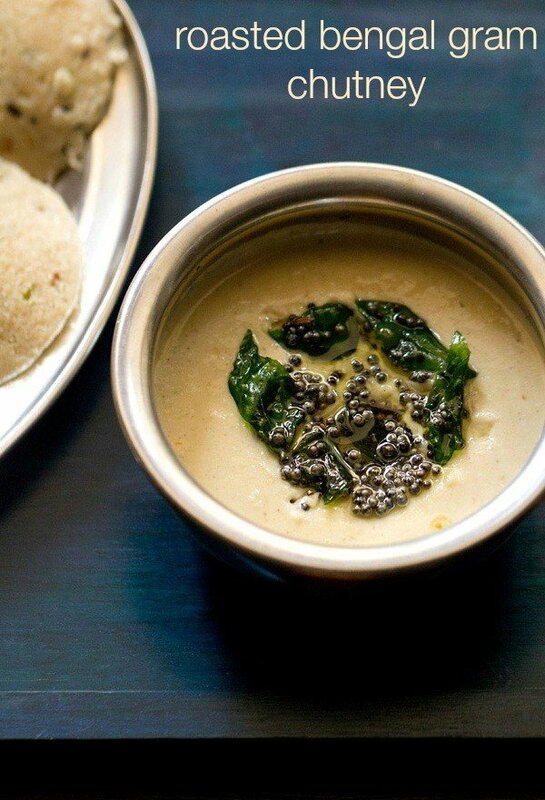 17. serve coconut tamarind chutney with idli, dosa or vadai. Thanks Ayshabi for your kind words. 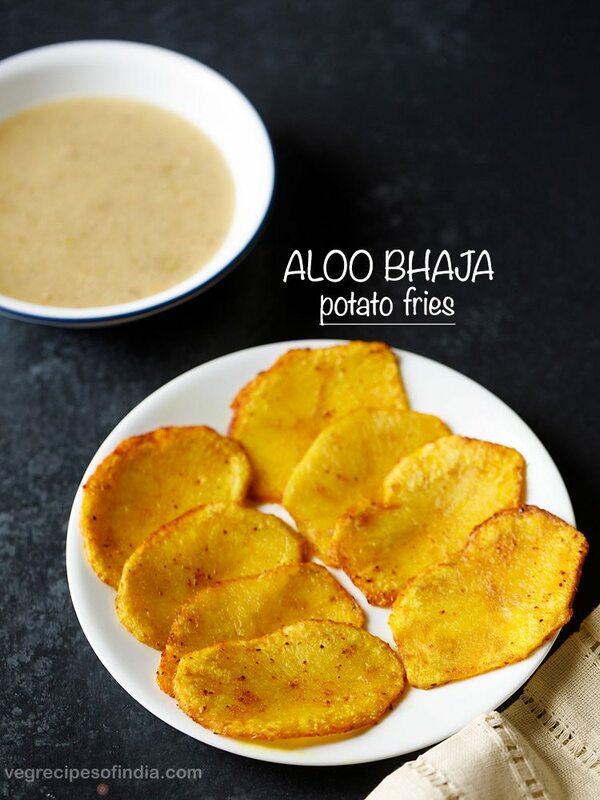 Will try to add more such recipes.